Then there was another group who were much more stylish. You would get the white lipstick, really severe hair cut and they would wear polka dots, white stockings, big plastic jewellery and a very short skirt with a big wide belt on it, like a pelmet skirt. 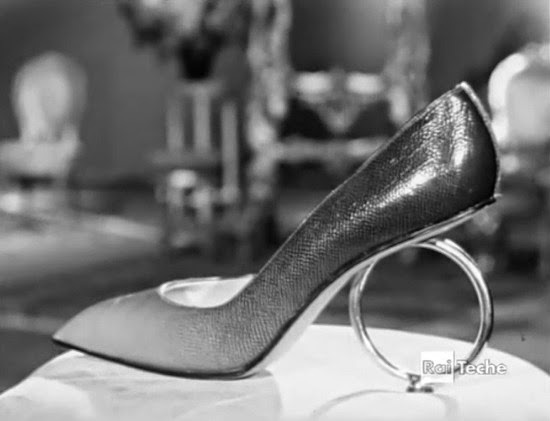 They'd wear shoes with hourglass heels and a lot of them were totally unavailable. They really were, in their own way, very stylish and part of the scene. 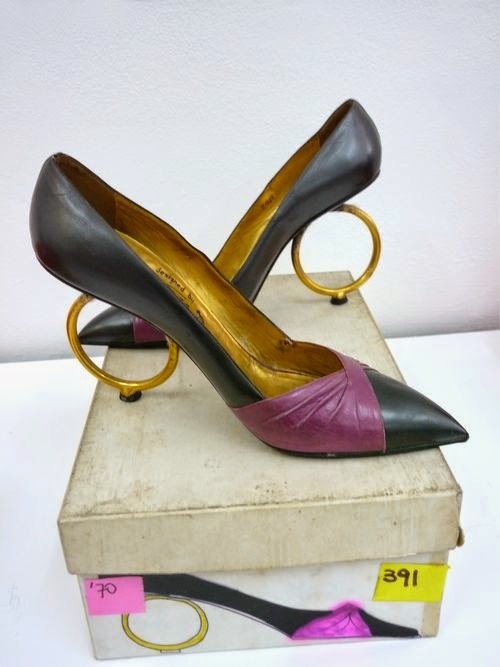 Of course he meant a different hourglass heel but the image of teenagers dancing to soul music and rhythm & blues, all of them with Italian shoes with actual hourglass heel is marvelous. 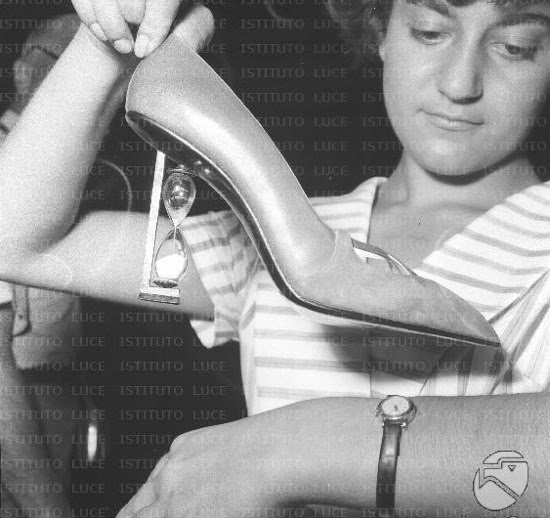 Even though presented as new, the Hour Glass heel belongs to the 1956 Sorelle Fontana collection designed by Dal Cò. 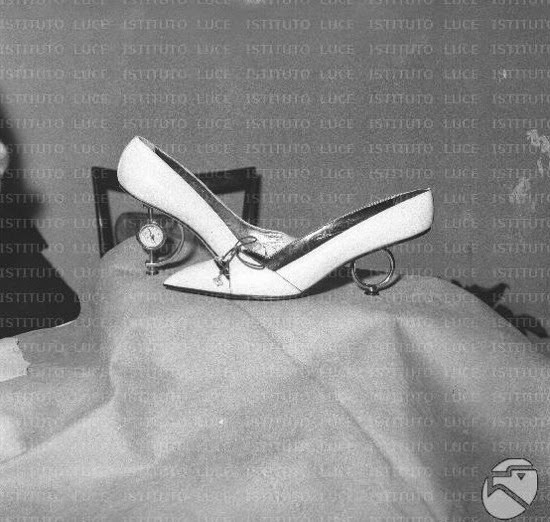 So, how an Albanese shoe found its way into a Dal Cò collection? 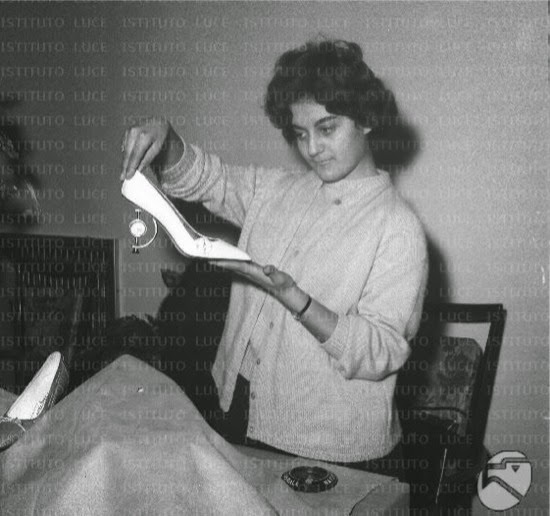 Most probably the link is Teresa Mezzatesta, designer at Dal Cò when she met - and later married - Enzo Albanese. The couple founded the Atelier Albanese in 1957. And the rest is (barely) known footwear history. You can still see the hula hoop heels through this heavy grained picture. 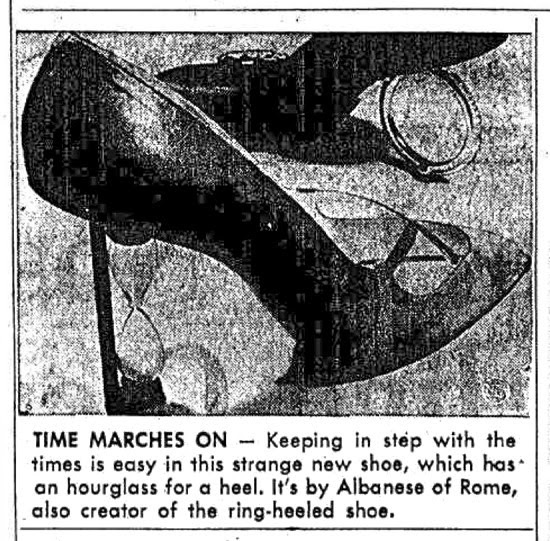 Also worth of note is the Hour Glass heel upgrade showcased a year later (13-01-1960). 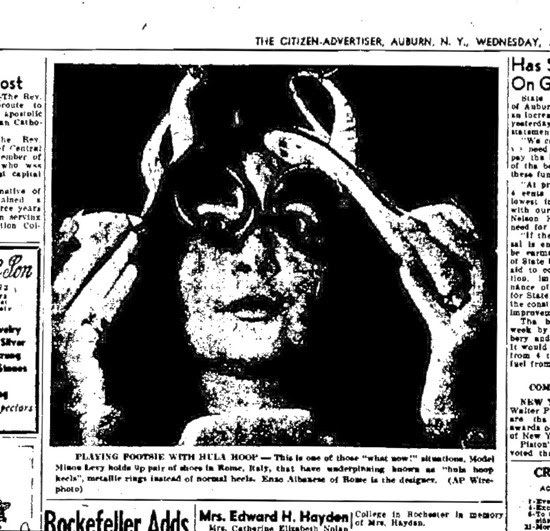 Along with the first copy of the fish-shoe, the hula-hoop appeared at A.I. Roman Inspirations (AltaRoma August 2014).